2009 Los Angeles Lakers Latin Nights T shirt. Official Adidas NBA product. 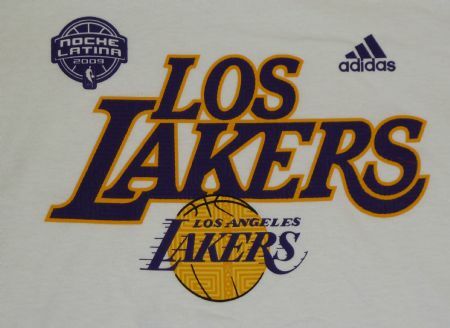 Los Lakers printed on the front with Latin nights and Adidas logo. Adidas is the officially licensed to make NBA jerseys and products. Latin Nights logo on the front.